My first post in this Keepin' It Real Pumpkin series was about making your own pumpkin puree. 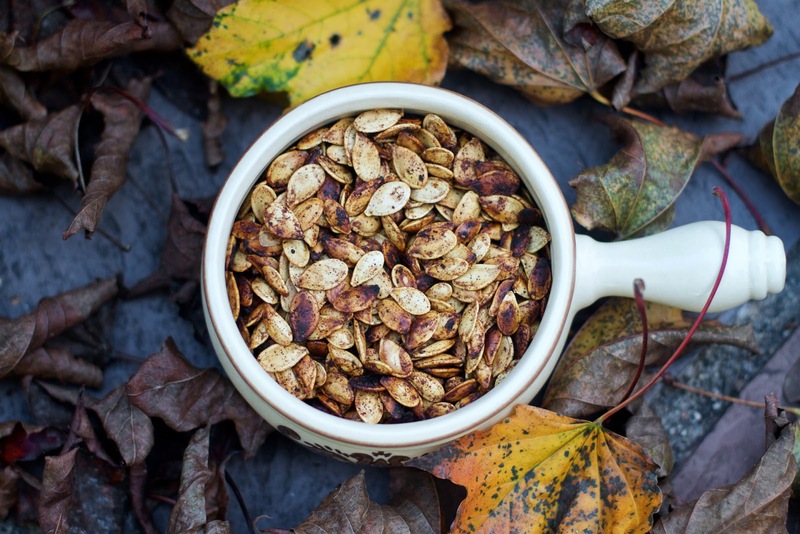 This time it's about one of my favorite snacks at this time of year: pumpkin seeds. It feels especially appropriate to write about this week because we'll be carving our Halloween Jack-O-Lantern soon and you know I'm not going to let all those seeds go to waste. So, if you have never eaten pumpkin seeds, they have a slightly chewy texture and a subtly sweet, nutty flavor. Roasting them yourself draws out that flavor and turns them into a crunchy treat that can be as addictive as a chip or pretzel. Pumpkin seeds also contain a lot of good things for you (just be mindful of how much fat and salt you use when roasting them). They contain a vast variety of antioxidant phytonutrients and health-supportive phytosterols. Pumpkin seeds are a very good source of phosphorus, magnesium, manganese, copper, and other minerals including zinc and iron. On top of all that, pumpkin seeds are a good source of protein too. But enough of that healthy stuff. Let's get to the delicious part. Whether roasted with a complex blend of seasonings or simply kosher salt, pumpkin seeds are a blank canvas for whatever you want to do. In keeping with my pumpkin spice theme this year I go all in with cinnamon, nutmeg, cloves, and allspice. I added just a hint of sweet with some local maple syrup. So, dive barehanded into those pumpkin guts and separate out all the seeds. It's a bit of a slimy mess, but a bit of childlike fun too. Don't let those pumpkins seeds go to waste. 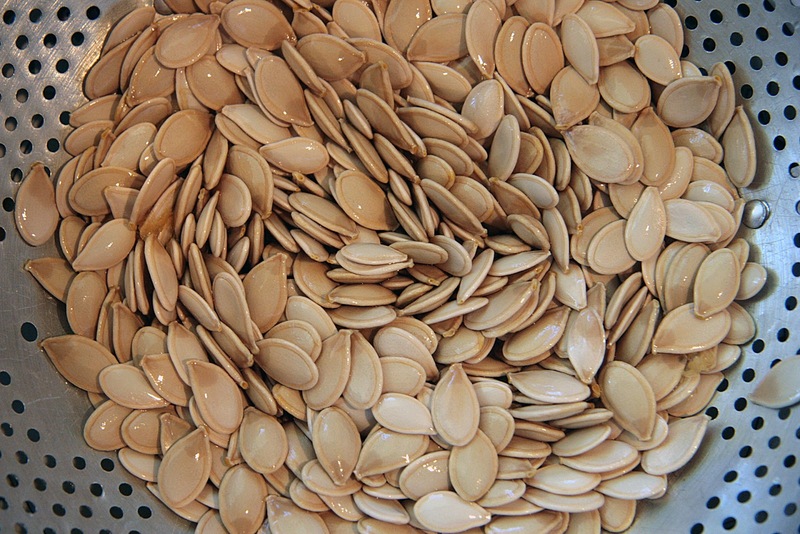 If using fresh just carved out of the pumpkin seeds, separate out the seeds from the inner membrane, placing them into a colander. Rinse the seeds with lukewarm water to remove any membrane residue. Let the seeds finish air drying for about an hour. Once dry, pour the seeds into a large bowl. Add the coconut oil, maple syrup, cinnamon, cloves, allspice, nutmeg, and salt. Toss to coat. 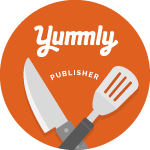 Line a small rimmed baking sheet with parchment or foil. Spread out your seasoned seeds. Let the roasted seeds cool. Then snack away. The seeds will keep for a couple of weeks in a sealed container (if they last that long). We've always tried to save the seeds, and toast them, but your recipe will be tried this year! Sounds scrumptious, and even healthy! Nice!